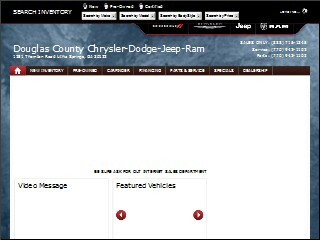 Description: Douglas County Dodge Inc is a business categorized under others automotive dealers & service stations, which is part of the larger category motor vehicle dealers-new & used. Douglas County Dodge Inc is located at the address 1251 Thornton Rd in Lithia Springs, Georgia 30122-3226. The President is Donald Barrett who can be contacted at (770)942-1102. Location & access map for "Douglas County Dodge Inc"